← Attack of the Grannies! This is my jumping off point for my PTS7 partner. I love aqua, red and gray. I think the little pops of orange give it a nice depth. I’m loving the Retro Kitchen line by Micheal Miller. I was instantly transported to my grandmother’s summer cottage when I saw it. That kitchen is burned so deeply into many childhood memories. So, today’s stack is dedicated to the memories of sunshine filtering through the kitchen windows, a whiff of green grass and the scent of the river playing in on the breeze.I love the Pacific Northwest but sometimes I miss the Maryland summers. I finished up 30 granny square and got my top pieced. I’ll be working on that this weekend and trying to decide how to quilt it. What are you working on? This entry was posted in Fabric Friday, Fabrics, modern quilting and tagged designer fabrics, fabric friday, modern fabric, modern quilting. Bookmark the permalink. Hi Ale, I am presenting you with a Leibster Award ~ check it out! Ale, I love your sense of color. 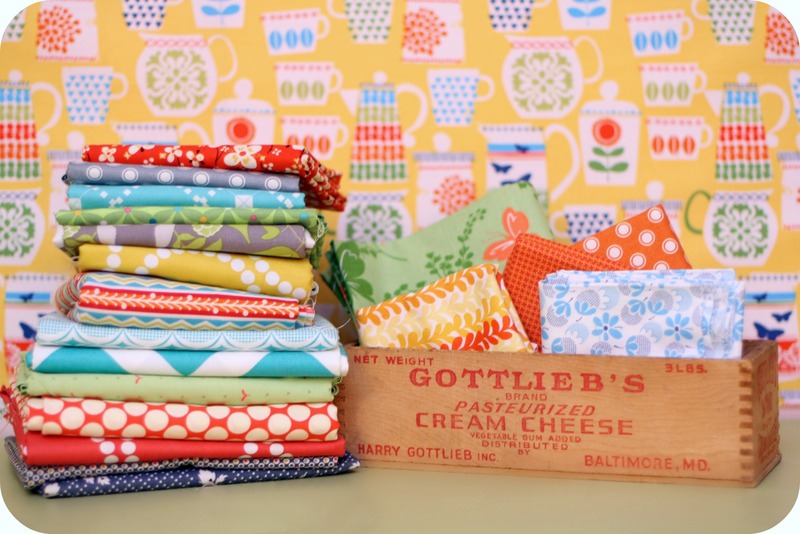 It’s good to read about your patchwork projects. How do you manage with the baby and all? I like sewing and I have a baby too, but I don’t have time to sew, cook, care for the baby, the house, my self and write a great web page. What’s the secret? Thanks for your reply! Mostly I do as you say: keep schedules, multi-tasking, supportive husband. The only difference is that I need at least 7-8 hours of sleep at nigth. I’m a teacher in the spanish public school system (I’m from Spain) and I also quit my job to be a full-time mom. My boy is 20 months old now and I feel kind of guilty sometimes because I don’t play with him as much as I should because I’m doing stuff around the house, cooking, doing laundry… I’d rather sew than use the computer so sometimes I don’t even check my mail for weeks (not to think about writing a web page). Reading about you is fun because we have things in common and it reminds me that I’m not the only one in the world struggling to have some time to do creative things. Thank you for sharing your life with us! By the way, I can’t wait to see what you are going to do with the hexagons! 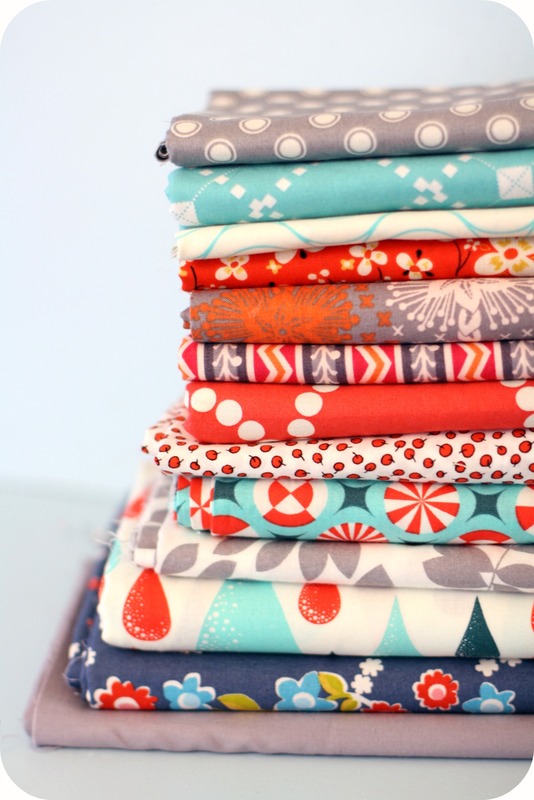 Pretty new fabrics! They are even prettier with your description of a Maryland kitchen in summer ~ looking forward to what you make with it!